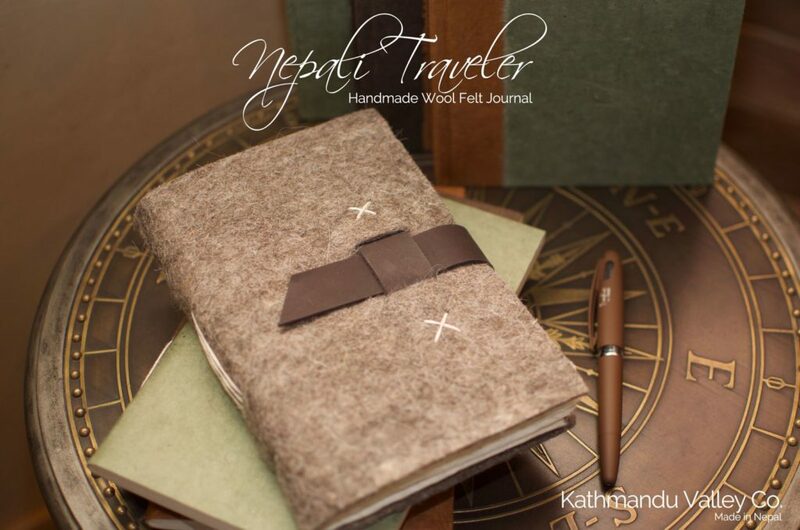 Our Nepali Traveler Journal is crafted with handmade Wool Felt from Himalayan sheep. The Wool Felt is created layer by layer of rolled-by-hand natural wool. Soapy water is poured over each layer helping to combine and interlock the fibers, creating a handmade vintage felt with a classic journal design. 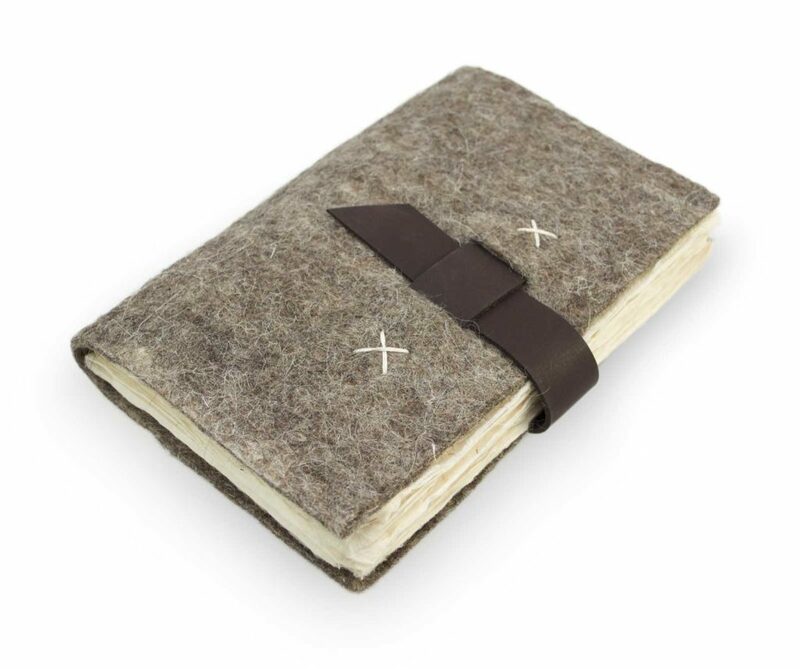 The lightweight nature of wool-felt makes this journal a great for any traveler. But the handmade felt isn’t the only thing making the journal one-of-a-kind. The paper used is sun-kissed on the slopes of the Himalayas and is created from the Lokta Bush, a non-tree source. The bushes grow on the southern slopes of the Nepali Himalayas, and once cut, grow back quickly making Lokta paper a uniquely sustainable paper. 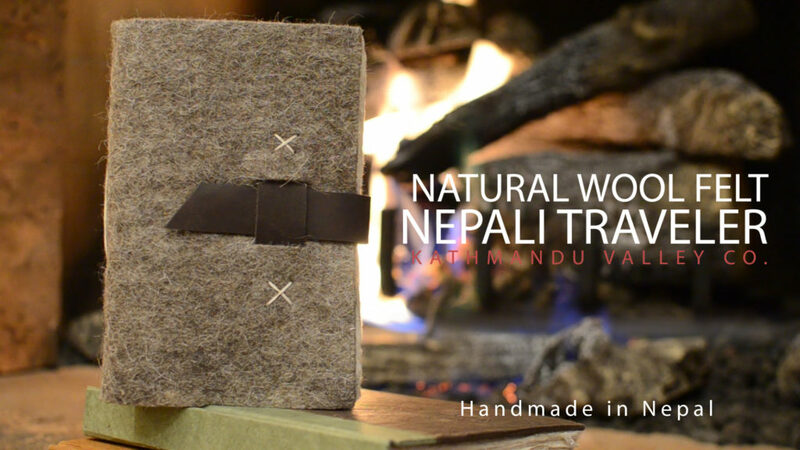 Strips from the inner bark of the Lokta bush are cooked into a mashy pulp which is then spread by hand over large boxed screens and set to dry on the mountainside, creating a paper with natural flecks whose tradition spans more than 1,000 years in Nepal. Deckled edges of the paper (similar to rough cut), give the journals that vintage feel many look for in a special journal. The leather buckle is made from water buffalo leather vegetable-dyed with the time-honored tradition of using black walnut husks. The paper is acid free, and the oldest surviving example of Lokta paper is almost 1,000 years old. Give a gift that will last and be treasured, and perfect for the adventurer in your life.